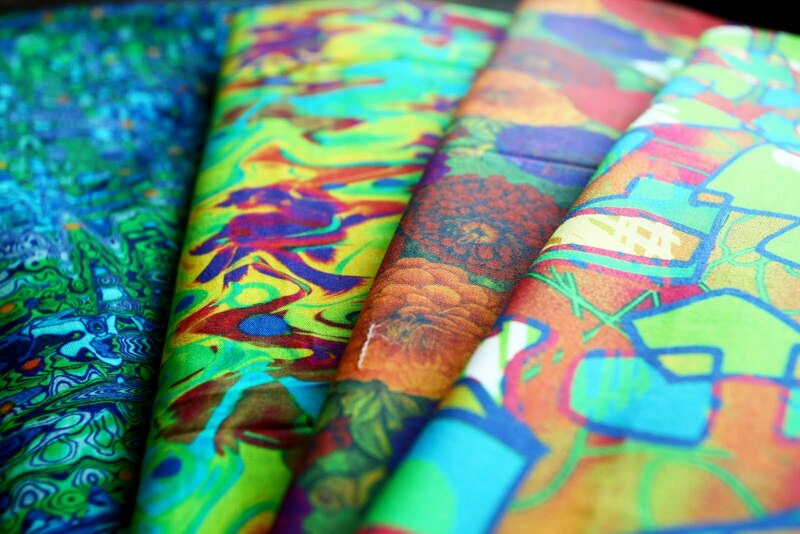 In the dyeing industry, fabric printing is one of the dyeing techniques where colors and patterns are taken onto textiles. 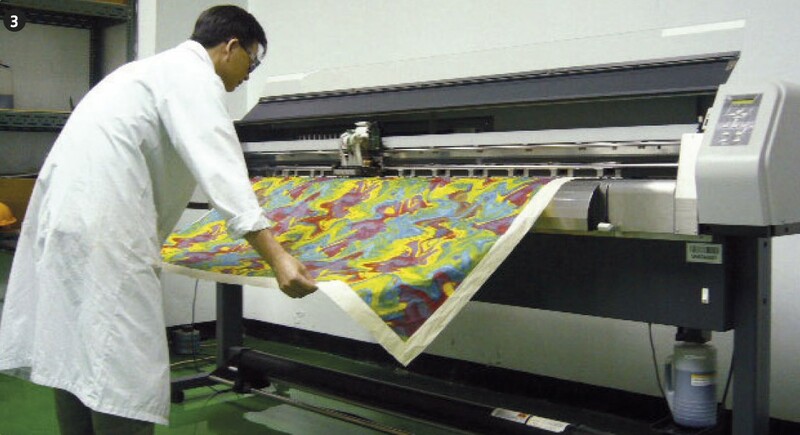 With traditional methods, patterns are mainly �printed by screen� onto the textile; but in digital printing, the color and pattern are sprayed onto the fabrics using inkjet printing method. We may find them in versatile objects in our daily lives; colors and patterns on substrates such as clothes, shoes, handbags, scarves, neckties, and handkerchiefs that we wear on ourselves as well as bedroom accessories, window drapes, wall-paintings in our homes may all be produced by digital printing. 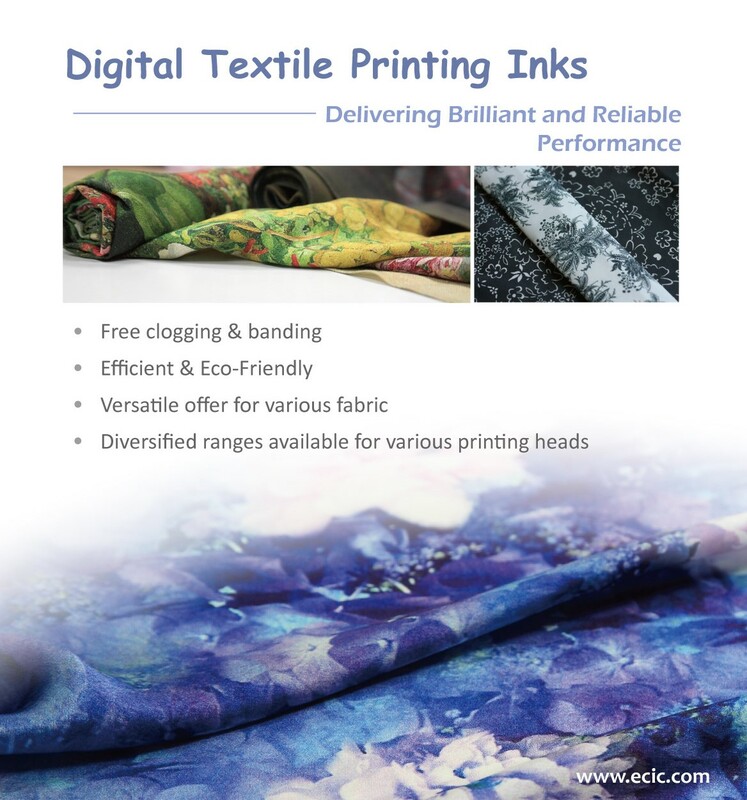 Since digital printing has derived the high-contaminating, power-consuming and labor concentrated traditional dyeing industry into a state-of-the-art realm that is more environmentally friendly, faster and of great versatilities; therefore digital printing is digital treasure of dyeing industry. The Everjet RT-E5 series is a range of reactive ink for Digital Textile Printing (DTP) which is applicable inkjet printing of cellulous and protein fibers especially that of cotton and silk; suitable for all digital printing facilities using piezoelectric type Epson print heads, including machines of Mimaki JV33, Mimaki JV5, Epson GS6000, Mutoh 1618, etc. Four main colors Yellow (Y), Magenta (M), Cyan (C), and Black (K), three auxiliary colors Red (R), Orange (O), Blue (B)) and three light colors Light Magenta (LM), Light Cyan (LC), Gray (G) are incorporated to compose a wide color gamut (a total of 10 ingredients) that fulfills all coloring needs of various graphics. To DTP customers, the first aspiration for selecting inks is to maintain smooth printing; long-period printing cannot endure any blockage in the printhead; followed by the expectation of an instant production after re-starting the machine; the third aspiration falls on a high-stability of ink that gives consistent ink-flow and color brightness over a long-period of storage. In order to satisfy customer needs, Everlight purchased high-cost inkjet printers from Italy and performed long-term printing tests. All the new generation inks are subject to continuous printing over 100 meters . The result shows a nozzle blockage rate of less than 0.2%, ensuring the stability for the customer in long-term printing conditions. All inks are tested by inkjet printers furnished with different Epson printheads for ensuring the compatibility of inks to Epson printheads; all inks showed good moisturizing property to the printhead without blocking the nozzle. Durability tests are performed by prolonged storing at 60�C to -10�C temperatures; the performance and printing intensity are very good and stable after returning to the normal temperature, ensuring consistent quality of customers� production. Everlight attained several patents addressing technical breakthroughs, including 3 in DTP ink colorants and 3 in DTP ink formulation mainly for the elevated purity of stable ink colorants and formulated ink products. Looking ahead, Everlight will continue to play the role of a DTP ink developer in the ink supply chain, providing the market with products that comply with inkjet printhead evolution as well as with customer needs, so as to satisfy the market needs.